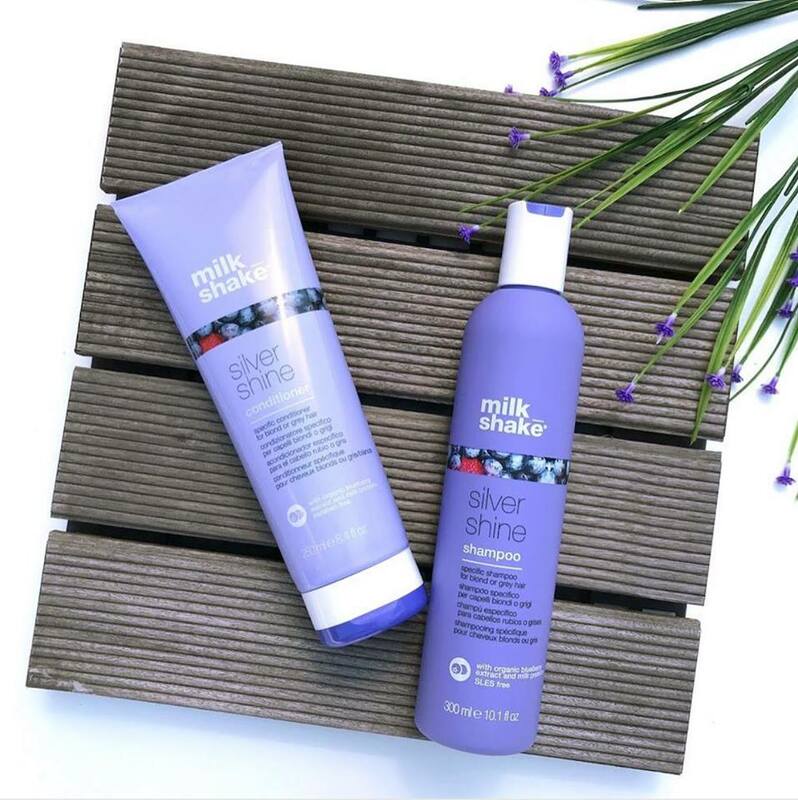 We are super excited to announce the launch of Milk_Shake Silver Shine Conditioner. If you are a fan of the popular Silver Shine shampoo, you’re going to LOVE this! Formulated with purple toning pigment, it adds an extra boost in addition to the shampoo to neutralize unwanted yellow or brassy tones. It will leave your hair conditioned, soft and full of vitality. Contains milk proteins, organic fruit extracts and Integrity 41 to condition the hair, maintain it’s moisture balance and protect your hair color.